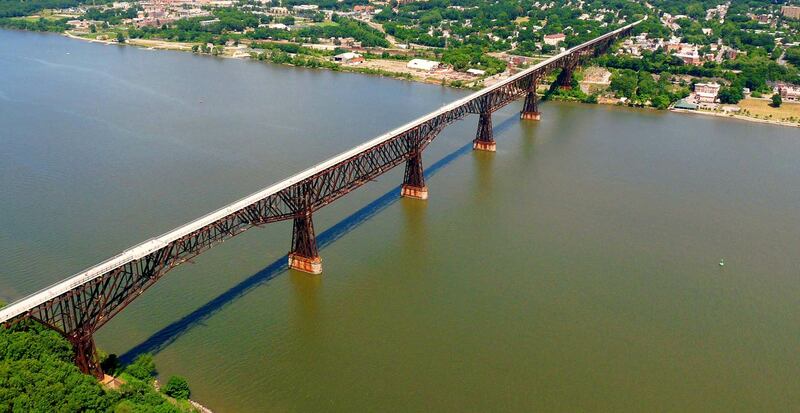 Supported by Steel, Concrete, and You! 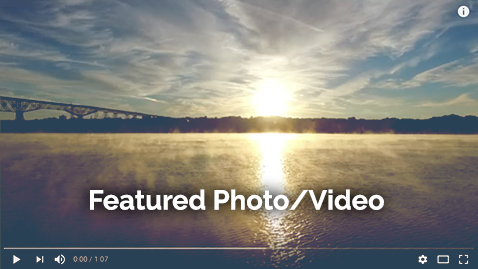 Your support of Walkway Over the Hudson allows us to undertake new construction projects, add amenities for all, and host engaging programs. A strong and vibrant Walkway community improves regional tourism and leads to economic prosperity for the Hudson Valley, helps local charities raise funds for worthy causes, connects friends and family and creates long-lasting memories in a unique way, and helps us all stay fit and healthy by providing a great place to exercise. See you on the Walkway soon! Make a single donation or donate monthly. Gifts can also be made in honor or in memory of a loved one. 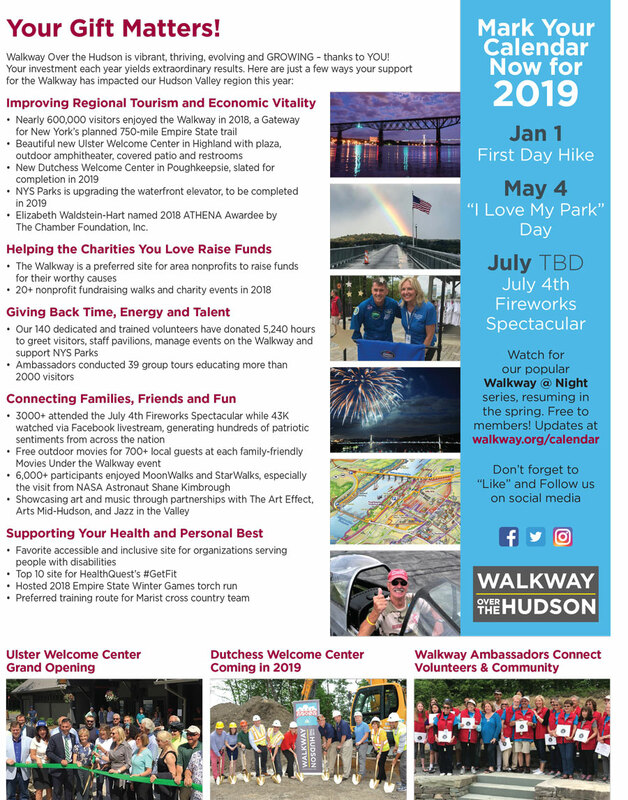 *Monthly contributions are the easiest and most efficient way possible to support the Walkway, allowing us to dedicate more of your valuable support to caring for the park, and less to administrative expenses. 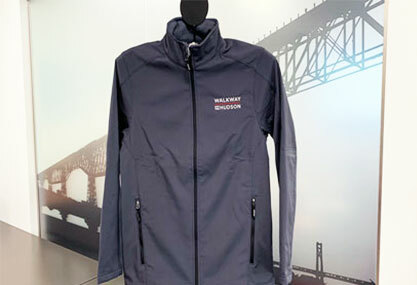 By becoming involved at the Walkway 1000 level, you will receive this stylish soft-shell jacket and be making a vital committment to support our innovative programs, new amenities, and construction projects.